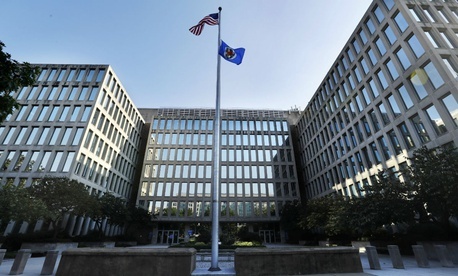 Government auditors warned the Office of Personnel Management this week of a number of outstanding issues that could, if left unresolved, impede the agency’s ability to manage the federal workforce and ensure agencies can effectively recruit and retain employees. The Government Accountability Office issued a report Wednesday highlighting outstanding recommendations it has made to OPM in recent years related to issues on the watchdog's biennial high-risk list, including human capital management, the security clearance process and protecting employees’ personal information. In a letter to Acting OPM Director Margaret Weichert, Comptroller General Gene Dodaro noted that the agency lags far behind its counterparts in addressing recommendations from GAO. Dodaro wrote that the agency still must do more to address skill gaps in mission critical areas, and suggested that OPM should consult with the Office of Management and Budget as well as chief human capital officers across government to collect governmentwide staffing and competency data and set up metrics to close those gaps. And it must work to implement its own report to help agencies fulfill their mission. GAO also stressed that OPM must do more to modernize the classification system as part of the General Schedule pay scale and make hiring and special pay authorities outside of that system more effective. Although the agency has developed a study for one series within the General Schedule system, analysts said OPM must do significantly more outreach with stakeholders as it moves forward. “OPM still needs to work in conjunction with key stakeholders such as OMB and unions; complete its review of studies and lessons learned; and if warranted, develop a legislative proposal to make the GS system’s design and implementation more consistent with the attributes of a modern, effective classification system,” GAO wrote. OPM has been working for years to upgrade its IT controls, but as of last December, much of the agency was unable to provide evidence of its progress. Additionally, Dodaro wrote that OPM needs to do more to support efforts to train managers and executives on performance management so that they can more easily address instances of employee misconduct.